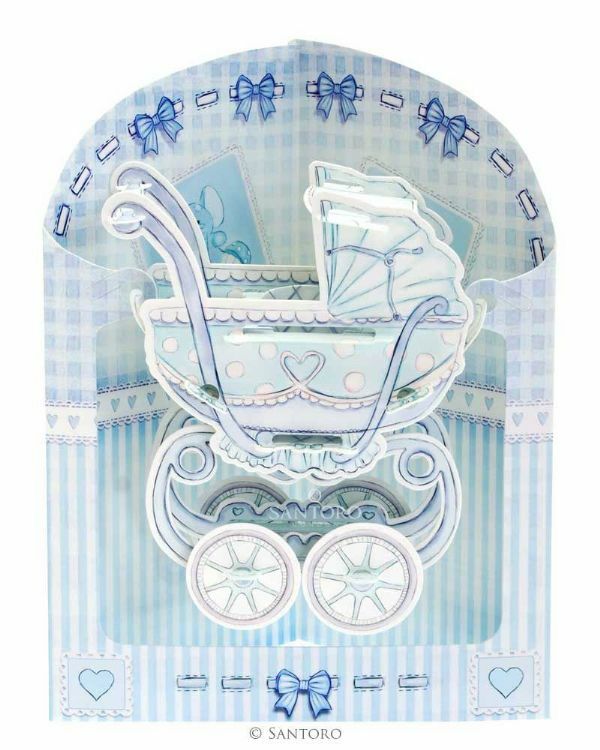 Baby Boy Crib - 3D Swing Cards The Swing Cards® are possibly the most detailed, well-designed and interesting cards you'll ever see! 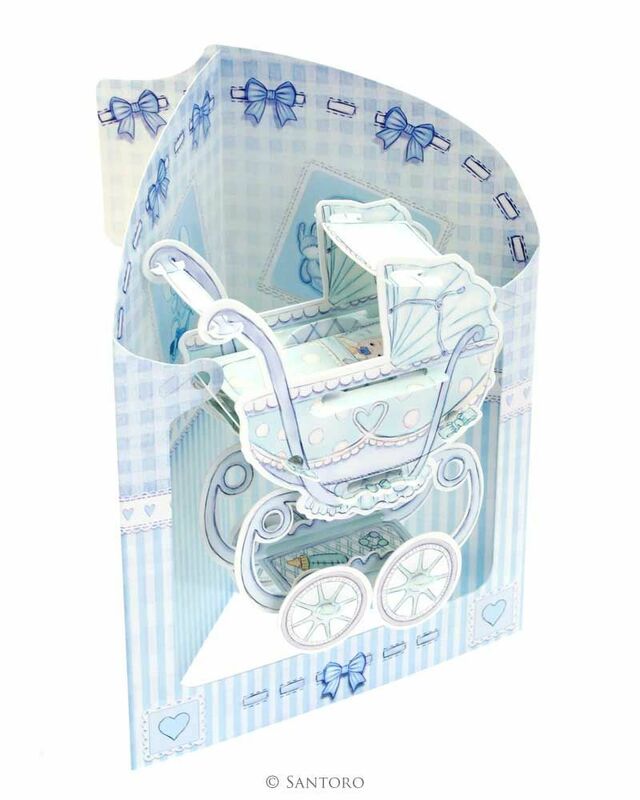 The multi-award winning range of pop-up, dynamic 3D, interactive cards come ready assembled with a space for your own personalised message. Not only do they open out to form incredible 3D shapes, but each card is also made up of a number of moving parts that allow the objects in the centre to swing back and forth. So click here for the cards where ships really sail, big wheels really spin and planes really fly!